Indigo Square is about You. Whether you are a landlord or homeowner, tenant or investor, buyer or seller our goal is to provide you with the best quality service whatever your property needs. 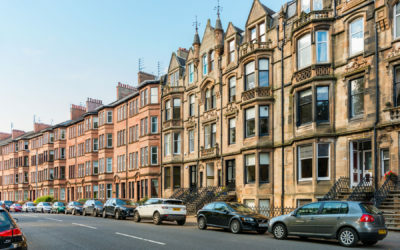 A private Scottish company Indigo Square are members of the Property Ombudsman, Council of Letting Agents and are a Registered Factor. 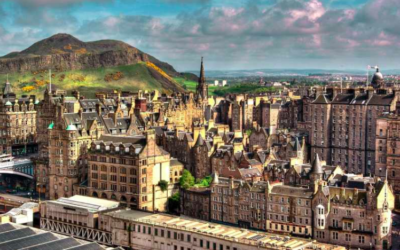 Our team has over 30 years experience of running, owning, selling, and managing residential property within Scotland, including over 15 years experience as Buy to Let landlords and over 10 years experience working with Affordable Housing providers. The skills and knowledge learned in that time informs every aspect of our property advisory business. In short we understand what you need when using residential property service providers. We understand the equal levels of enthusiasm and trepidation with which people greet correspondence from Property Factors – Is this a bill for extensive works or correspondence to inform that requested improvements did not get sufficient fellow owner approval? Whatever the content of the dialogue the Indigo Square Management Promise that our service standards will be to deliver to You based on the simple ethos of our best endeavours to communicate quickly and transparently and deliver services, improvements and repairs promptly. The reasons for owning and renting out property will be specific to you. People become buy-to-let landlords for a plethora of reasons; for some it is part of their long-term pension planning, for others it started when they bought a property for a child moving away to university and others it has been forced upon them by a slow sales market when a move away is essential. For tenants, whether you are a first time tenant, an Affordable Housing Provider tenant or rented previously in the private sector it is important you know and understand all your rights & responsibilities. There can be a confusing array of options available when people are looking to sell their home. From internet only agents to high street based big corporates or from the small one-man band to selling it yourself. The current advertising campaigns of many do not help, with company’s focusing on price rather than service and what matters most to you most – the sale of your home. Many agents seem to be confused as to who the most important person is in the sales process – It is you, the homeowner. Indigo Square cut through the chatter to offer Five Star Property Services. Indigo Square - Letting Agents & Property Factors from INDIGO SQUARE on Vimeo. Buyers of luxury flats in an Airbnb hotspot will be banned from letting out their properties in an attempt to retain the area’s sense of community. This does not mean that short-term lets are finished in Glasgow. Those doing it on an ad-hoc or one-off basis will NOT require a change of use and the council have said that they will not be running around and shutting down short-term lets but simply acting on a “complaints led basis.” In other words, if your neighbour knows about the restriction and isn’t happy you’ll get done. If they don’t you won’t! As buy to let owners, Indigo Square understands the ups and downs of being a residential landlord and the special requirements of portfolio owners. Indigo Square also understand the equal levels of enthusiasm and trepidation with which a potential landlord faces his first let. So whether you own one or one hundred and one properties, Indigo Square can offer you the service you need for your investment. 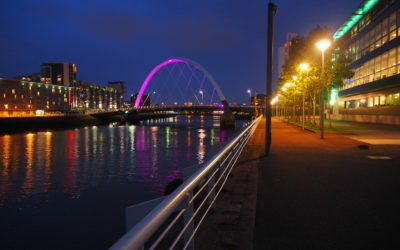 Indigo Square also have unique insight into the needs of the Affordable Housing sector in Scotland. With 10 years experience of working with Government, Councils and Housing Associations, through or Socially Responsible Letting programme, Indigo Square can advise those landlords whose investment criteria includes the desire for a strong ethical as well as financial gain.